In the darkest days of February I emailed Jane Crowfoot to see if she would be happy to teach Kenilworth Knit and Natter a workshop on Finishing Techniques. When she said Yes I was overjoyed and have since then been slowly organising this little event. I knew it would be the perfect workshop, not least because the genius of Jane goes before her, she is very well regarded for both her workshops and her books along with her profile from working with Rowan and Debbie Bliss but also I thought the group would benefit from a workshop such as this. Jane started with understanding tension and why it is important. 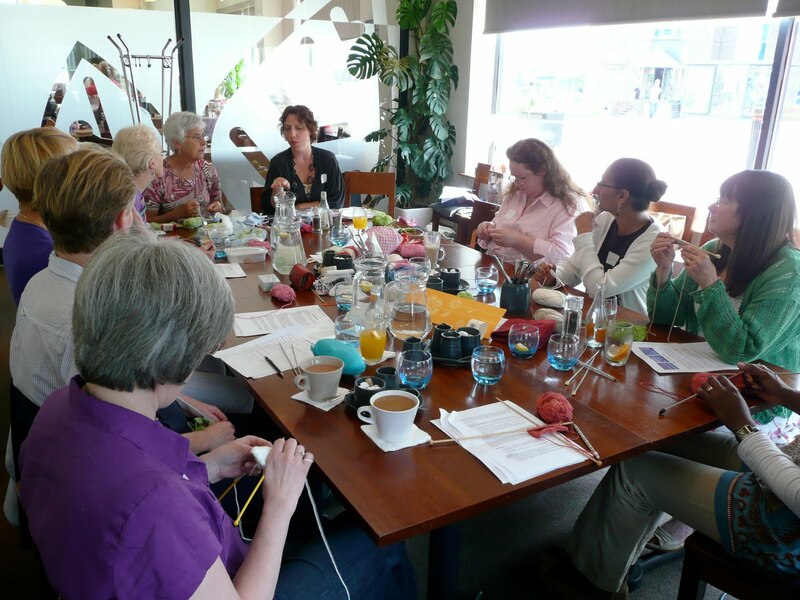 (fortunately I was in the group that does knit a tension square, but there weren’t many of us!) Next was picking up stitches, this was very tricky and I struggled with it but I did manage to pick up for my neckline in the end. I think we all did a beautiful job of our necklines. All too soon it was time to break for lunch during which time Jane measured our work and arranged it so that we could easily see who was a tight knitter and who was a loose knitter. Lunch as you would expect from a gastro pub was gorgeous. 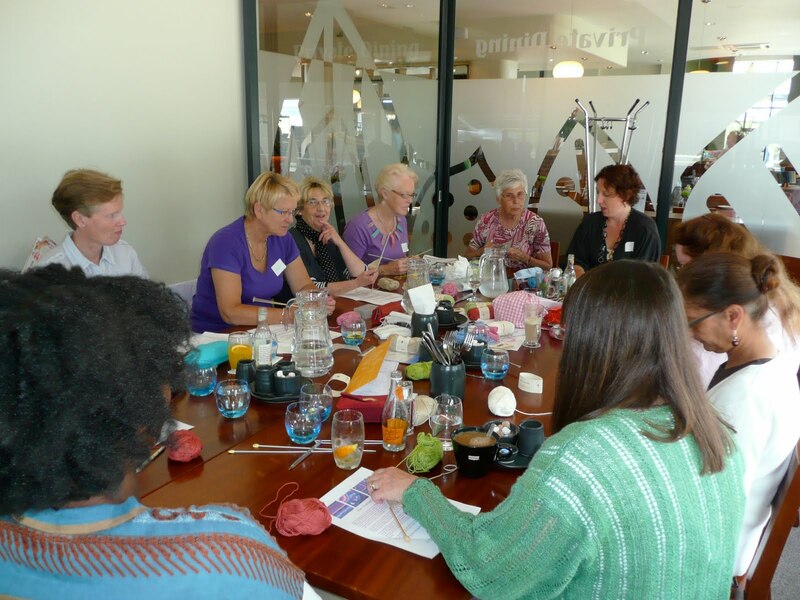 The Almanack is such a wonderful location for a knitting group and their private dining room is absolutely perfect for a workshop, just look at those huge windows they let in such wonderful light. absolutely gorgeous, a wonderful combination of knitting, crocheting and beading. Another project chalked up on my to do list. It is all very exciting and having seen taster photographs I am giddy with excitement. It does mean that I will have to ask Sue how to teach me to crochet, but as she has willingly offered to teach me I think we may well end up being partners in crime on this new project. And just so that you can experience the sharp intake of breath that one feels when you see something truly exquisite. Quilts, Cakes and Birthday Wishes. It all looks very exciting! 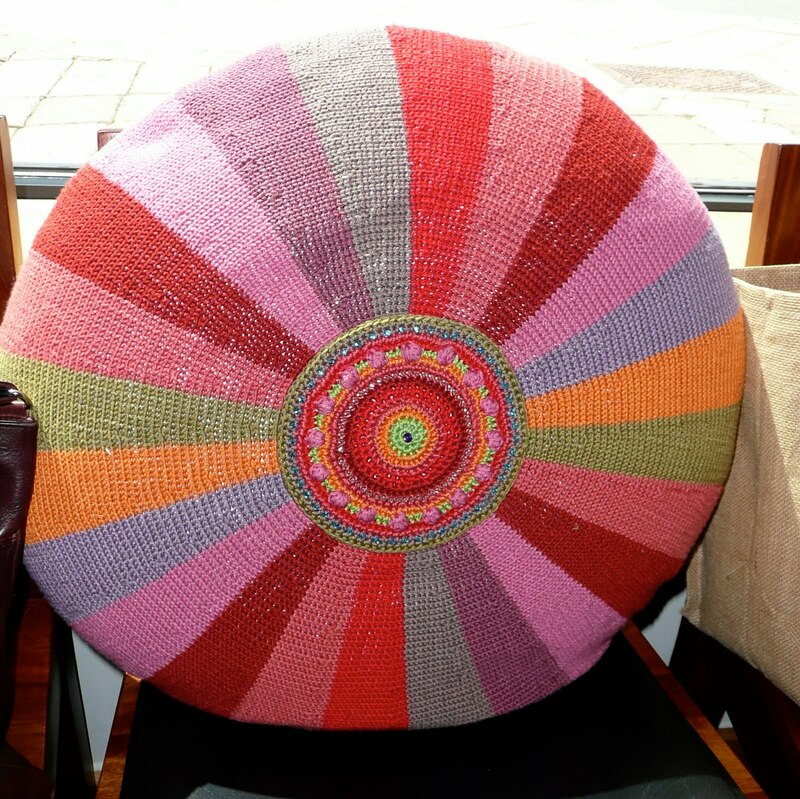 !The cushion is way beyond me but I'd love to be able to make things like that. I can't crochet at all (well maybe a chain) and I can only knit the basics, still have to try the socks but to be able to make those things would be amazing. Sounds like you had a wonderful time – I'm so glad it all went well because I know how much hard work you put into it. The venue looks gorgeous too – roll on August when I can come and join you on a Thursday! That's a gorgeous cushion cover. The crochet site is cool, too. 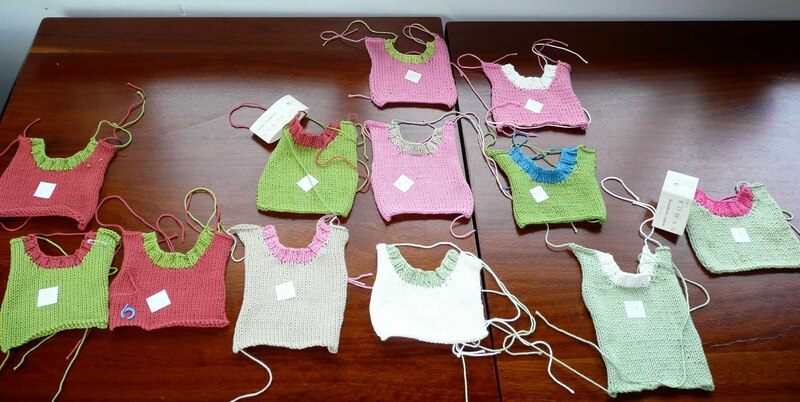 A finishing class is so helpful in making things look good once the knitting is done.